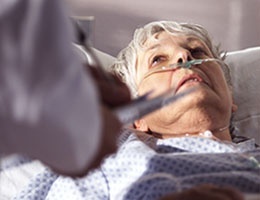 There are four time-sensitive and life-threatening clinical presentations that every acute care practitioner must master to deliver the best possible care in the safest manner. The first two have been around a while and should be very familiar – Code Trauma and Code STEMI. The next two are less dramatic than trauma and heart attacks, but are no less critical – Code Stroke and Code Sepsis. Here are some highlights of Code Stroke. Stroke is one of the most significant risk and safety issues we will face in the 21st century. As is true with most afflictions, stroke is a “syndrome of subtraction”; it adds nothing positive to a person’s life. In an instant, a stroke can transform an eloquent and productive person into a mute, hemiplegic, disabled patient who is dependent on others for assistance with the simplest of tasks. As an ischemic stroke shuts off the supply of oxygen and vital nutrients to an area of the brain, some aspect of neurologic function is lost, whether it be mobility, sensation, speech, coordination, vision or cognition. The losses are huge to the individual, to the family and to society. Stroke is a leading cause of death in the U.S. and the number one preventable cause of adult disability. The job of acute care practitioners is to prevent or lessen the damage from stroke by providing timely, evidence-based, well-documented care to every patient who presents with symptoms of stroke or TIA. Stroke is a seconds-to-minutes emergency requiring immediate action by the acute care team. Determine the time “last seen normal” (time of onset of stroke symptoms). Consult a stroke center or neurologist as soon as possible. Document a stroke scale or detailed neuro exam on all patients with possible stroke. Consider every stroke patient a candidate for thrombolytic treatment (tPA) unless contraindicated. If thrombolytic therapy was not used, document the reason. Thrombolytic therapy is now indicated up to 4.5 hours after stroke onset in some patients. Consider admission and/or expedited workup for patients with a TIA. The goal for management of acute stroke is to assess the patient and decide within 60 minutes of arrival whether the patient is a candidate for thrombolytic therapy or not. Failure to consider tPA: ~90% of malpractice suits related to stroke care in the ED are for failing to consider the use of tPA thrombolytic therapy. Less than 10% are for complications from tPA such as intracranial hemorrhage. Delays in management: Delays in triage, nursing assessment, CT imaging or interpretation, pharmacy, door to doc, or transport can result in delayed treatment and bad outcome. Failure to evaluate TIA: A TIA patient who has a stroke after leaving your ED is a disaster for them and a possible malpractice suit for you. Consider hospital admission and expedited workup (risk factors & imaging) for TIA patients. Determine the time last seen normal (time of onset). Perform a rapid neuro exam/stroke scale. Get CT and labs STAT and consult a stroke center. 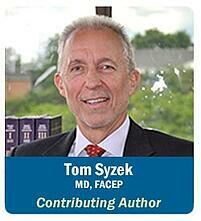 Consider every stroke patient a candidate for tPA until proven otherwise.